Amanda Holden stars in a brand new production of Richard Harris’ laugh-out-loud comedy Stepping Out. 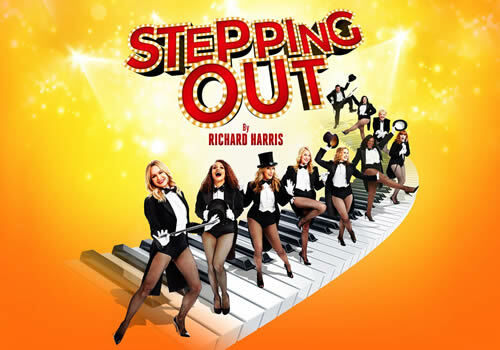 Originally opening at the Duke of York’s Theatre in 1984, Stepping Out has also been adapted into a 1991 film starring Liza Minnelli and Julie Walters. 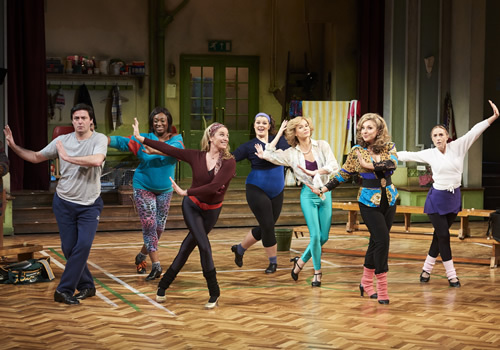 Transferring to the West End after initial runs at the Theatre Royal Bath, Richmond Theatre and Chichester Festival Theatre, the tap-dancing tale plays a limited season at the Vaudeville Theatre, after opening in March 2017. Following eight quirky individuals who meet for a weekly tap class in a North London church, Stepping Out is the heart-warming comedy about friendship and acceptance. Each begin the class for a variety of reasons, many lacking any coordination that is required for the end of term charity gala. Quickly, the troupe discover that tapping their troubles away is the perfect remedy and soon their personalities are able to shine through. Britain’s Got Talent judge Amanda Holden stars as Vera, after recently appearing as the Fairy Godmother in the London Palladium’s Cinderella. Further cast members include Natalie Casey (Fame, Legally Blonde) as Sylvia, Tracy-Ann Oberman (McQueen) as Maxine, Tamzin Outhwaite (How the Other Half Loves) as Mavis and Nicola Stephenson as Dorothy. Additional casting includes Judith Barker, Jessica-Alice McCluskey, Sandra Marvin and Dominic Rowan, with Janet Behan, Suzy Bloom, Emma Hook, Marcia Mantack, Katie Verner and Nick Warnford. Directed by Olivier Award-winner Maria Friedman, who has also been at the helm of hugely successful productions such as Merrily We Roll Along and The Woman in White, Stepping Out features design by Robert Jones, lighting design by Peter Mumford, sound design by Gregory Clarke and choreography by Tim Jackson. 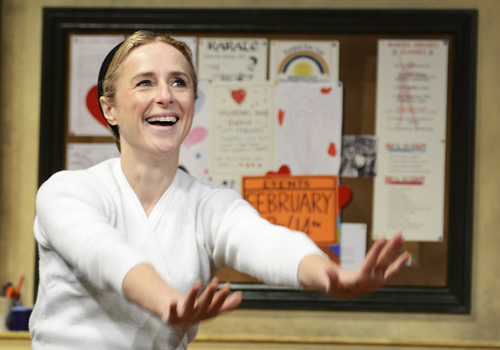 Both funny and touching, Harris’ play opened at the Vaudeville Theatre on March 14th and plays a limited run until June 17th 2017. Stepping Out may not be suitable for young children.